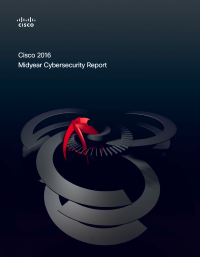 From ransomware threats to security trends, this Cisco report examines the many ways organizations can and should take action to start improving their defenses. Download this report now. Ransomware is dominating the malware market – and businesses are becoming the target of choice for cybercriminals. Organizations are creating security risks by not properly maintaining aging infrastructure or patching vulnerable operating systems.